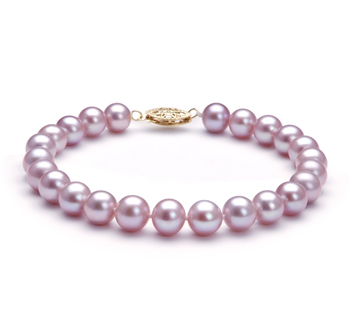 The most beautiful pearl to have by a woman’s side is the Chinese Akoya. 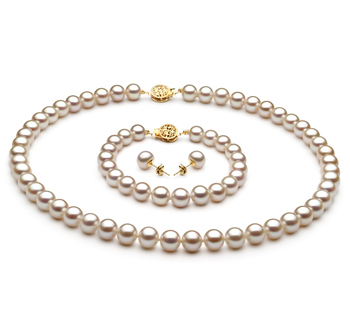 The White Chinese Akoya Pearl Necklace showcases the sparkling features and glimmers with the mirror like AA lustre. 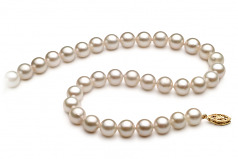 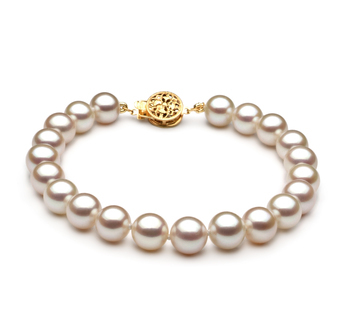 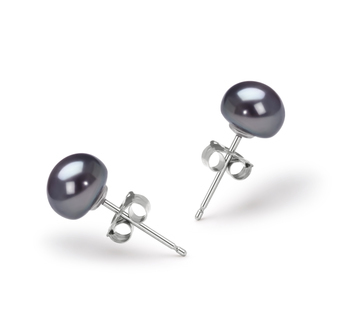 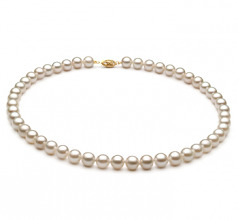 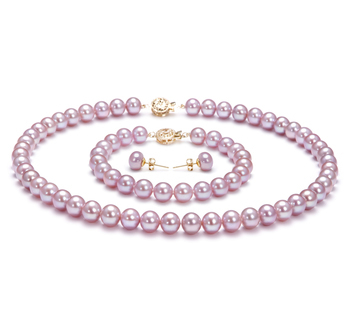 Its 7-8mm pearls are the perfect size to compliment any neckline without appearing over the top or insignificant. 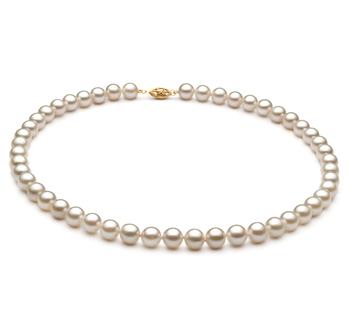 The white colouring comes across smooth and elegant when paired with darer hues and tones down the out of round AA shape of the pearls. 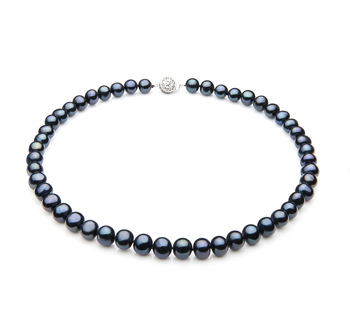 Keeping the White 7-8mm Chinese Pearl Necklace safe, solid and secure as you dance the night away with the ladies is a modern clasp. 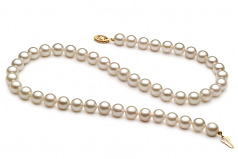 The Chinese Akoya, nearly the same as the Japanese Akoya just far more affordable.